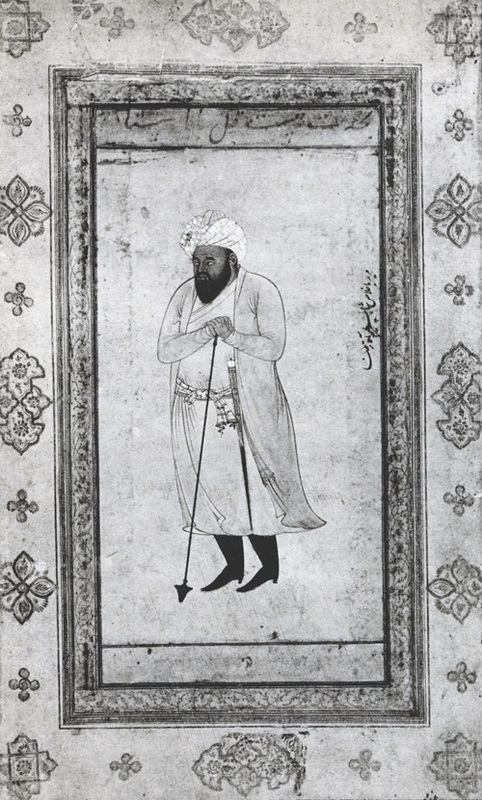 A portrait designated as the Chief Gardener of Prince Saleem, and obviously by some one concerned with the project of Khusrau Bagh. It is noted that Aga Reza is designated as mureed of Saleem Shah, which means that the person is there as a mureed of a Prince and not an Emperor. It was later that Prince Saleem became the Emperor Jahangeer. He was the painter who was given the commission to build the Khusrau Bagh complex for Prince Saleem. 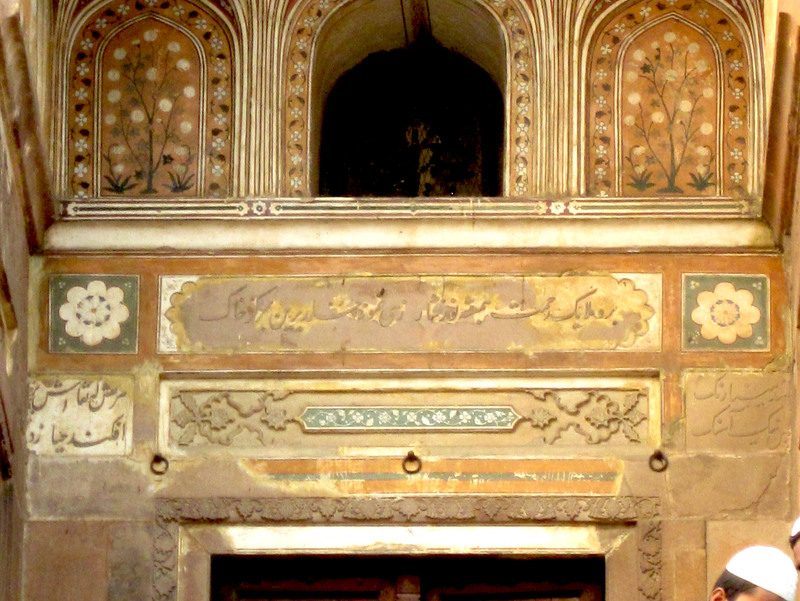 The calligrapher was Abdullah Maskeen Qalam. The portrait is designated as that of BAHISTH QUL USTAD BABA. Although the name written here is by different hand and a presentation signature only. It is rare that we get portraits of every day personalities. It may be a commission from the Prince or merely satisfying a Gardener colleague by the Architect involved in the construction of same. In any case, enjoy a rare work! Even today Western scholars are confused and it was clarified by Dr Abdullah Chaghatai that there were three persons, Aga Reza the painter, Reza Abbassi the painter, and Ali Reza the calligrapher. Other people carried the same name too. But ever since the scholar Sir Thomas Arnold made the mistake of identifying both as one the legacy of misconception carries on till today. The two different painters fact is proved by the memoirs of Emperor Jahangeer himself., We will write a blog on same.